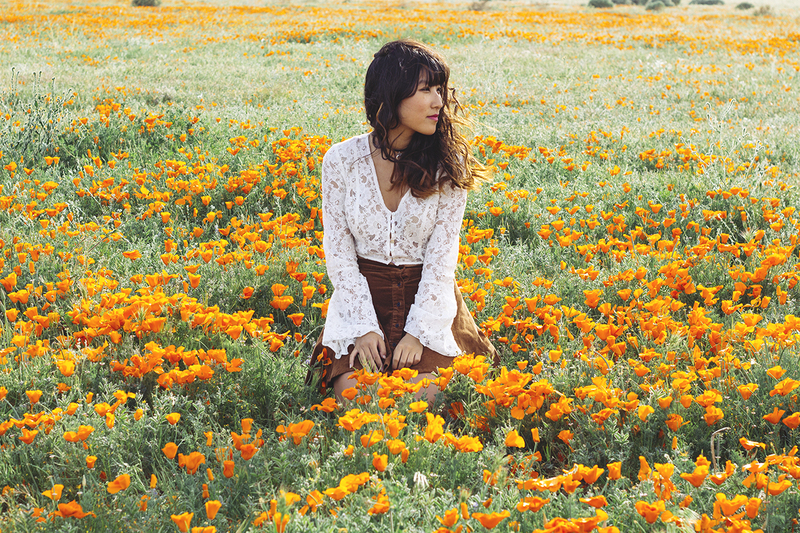 Channeling Jane Birkin in the poppy fields in bell sleeves and suede. Can't get any more 70s than that. I've never seen such vibrant flowers. These photos don't do justice! A lot of the poppies were fried from the heat but we came across a luxurious patch, laid out and drifted into dreamland. I've been loving the 70s trend that's been all over the runways this season. I'm seeing bell sleeves, crochet, suede and platforms by the volumes but I'm not complaining as I'm always gravitating toward those trends anyway. They're also super festival friendly and I will definitely be wearing some of those trends at Coachella. 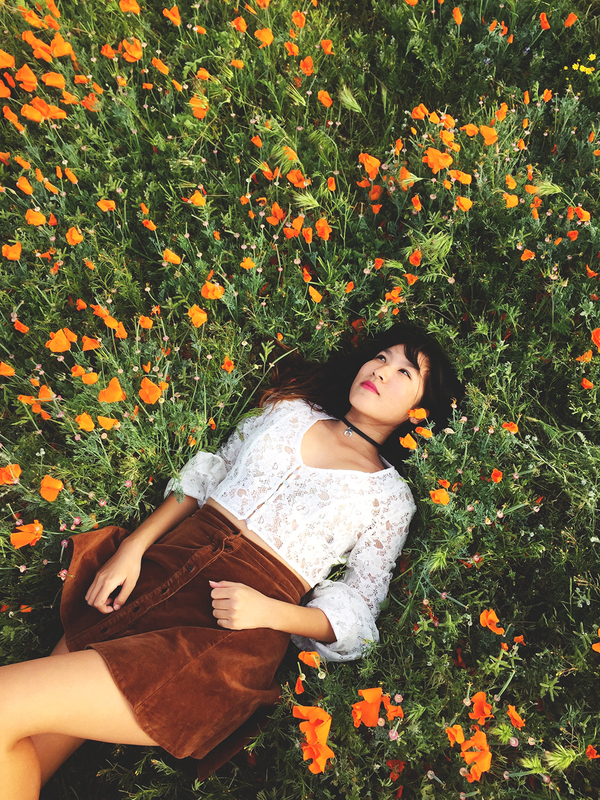 this poppy field and your dreamy outfit are the best combination! love the skirt especially! Your images are always so beautiful!! I LOVE this 70's look, especially that skirt! So gorgeous! These photos are so spectacular! This is a beautiful 70's look. You have a fantastic blog dear! The pics are awesome!! !